The analysis of microplastics in sediment and mussels is in progress. 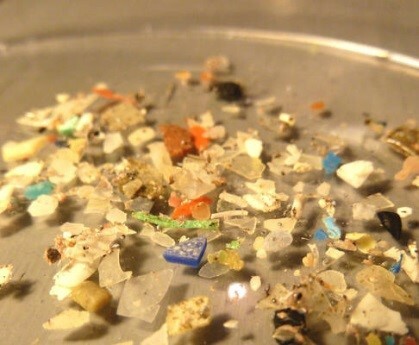 Microplastics are defined as plastic particles smaller than 5 mm in size. They are considered structural pollutants that do not readily biodegrade and are highly persistent in the marine environment. These plastic particles are categorized as either primary or secondary microplastics. 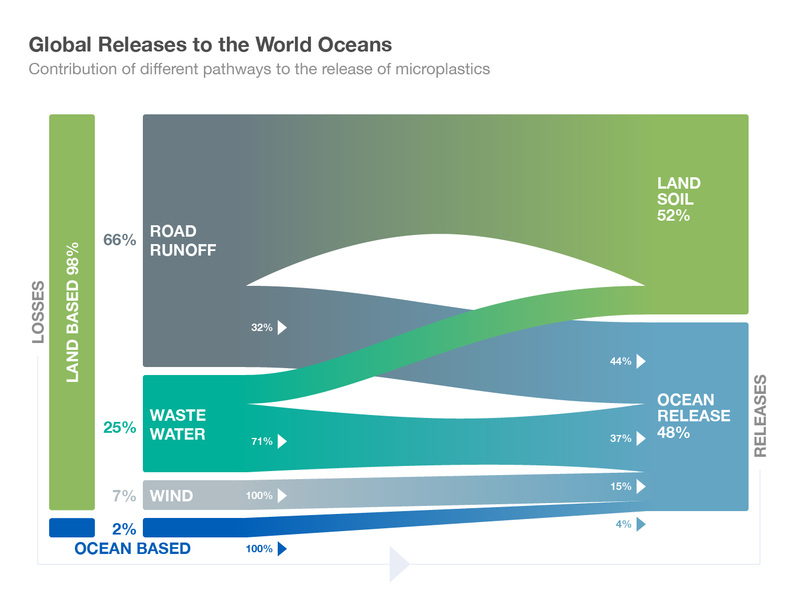 Primary microplastics are produced to be small and are the raw material used by the plastic industry. Primary microplastics come in the form of pellets (called nurdles) or are manufactured for use in pharmaceutical and cosmetic products (called microbeads). Primary microplastics are also used as the abrasive components in air blasting to clean industrial machinery. FACT: It has been suggested that all plastic that has ever been released into the environment still exists today. Secondary microplastics result from the fragmentation of larger plastic products. Beach litter contributes to microplastic production as larger plastic pieces break down in the sun and waves. Laundry also produces microplastics when synthetic clothing sheds tiny fibers (called microfibers). Microfibers end up at the waste water treatment plant and reach the ocean if the facility is not capable of filtering these tiny particles out of the effluent. How do they get into the ocean? Some effects of microplastics on marine organisms include nutritional stress, digestive system blockage, and entanglement. Microplastics can transport plastic-derived chemicals long distances. Contaminants already present in the marine environment can also bind to these matrices. Once ingested, plastic particles can release these chemicals into the organism with the potential to cause adverse toxicological effects. With increasing awareness of the negative impact of microplastics on the marine environment, efforts to reduce microplastic use are being made. In 2016, the Canadian government classified plastic microbeads as toxic substances under the Canadian Environmental Protection Act (CEPA). This order aims to develop microbead regulations and prohibit use in Canadian personal care products. Reducing our consumption of plastic products and promoting the use of ecofriendly products is an important step to moving away from our dependency on plastic materials. Improving the biodegradability of manufactured polymers will likely foster the development of alternative solutions. 1 GESAMP, 2015. Sources, fate and effects of microplastics in the marine environment: a global assessment. Kershaw, P. J., ed. (IMO/FAO/UNESCO-IOC/UNIDO/WMO/IAEA/UN/UNEP/UNDP Joint Group of Experts on the Scientific Aspects of Marine Environmental Protection). Rep. Stud. GESAMP No. 90, 96 p.
2 Napper IE, Thompson RC. 2016. Release of synthetic microplastic plastic fibres from domestic washing machines: Effects of fabric type and washing conditions. Marine Pollution Bulletin 112 (1-2): 39-45). 3 Boucher J, Friot D. 2017. Primary Microplastics in the Oceans: A Global Evaluation of Sources. Gland, Switzerland: IUCN. 43pp. 4 Desforges JP, Galbraith M, Dangerfield N, Ross P. 2014.Widespread distribution of microplastics in subsurface seawater in the NE Pacific Ocean. Marine Pollution Bulletin 79: 94-99. 5 Van Cauwenberghe L, Janssen CR. 2014. Microplastics in bivalves cultured for human consumption. Environmental Pollution 193: 65-70.